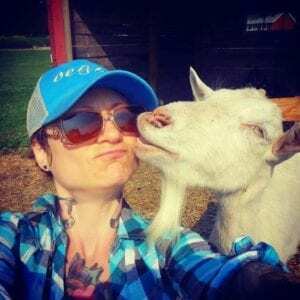 the vegan lifestyle: not about the food…. a vegan lifestyle is about way more than what you eat. the principles of veganism branch out into social, environmental, ethical and moral grounds. now that’s not to say that a vegan lifestyle isn’t about your food! vegan food is delicious, varied, abundant, affordable and, at times, epic. there’s a saying that “anything you can make i can make vegan. and it’s true! today there are vegan alternatives to everything. so you don’t have to feel you’re “missing out”- in fact, going vegan usually expands your culinary experience as you get to try new and exciting dishes. the most important thing about a vegan lifestyle (to me) is that it’s for anyone and everyone! there is an air of exclusivity at times around veganism and this is an unfortunate byproduct of a holier-than-thou minority of vegans. in reality, veganism fits into every lifestyle. you don’t have to change who you are- just what you eat (and, as we talked about above- even that doesn’t have to change that much!) so don’t let the few vegan assholes out there dissuade you- veganism welcomes all kinds. there are enough animals to not kill, and enough cruelty to not inflict for all of us! 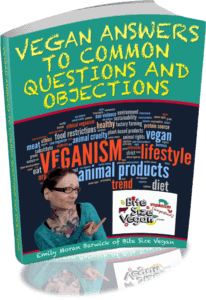 if you’re interested in the vegan lifestyle but have some questions, fill out the lil’ form on this page for your free ebook addressing common questions and objections to veganism!